every morning singing in the dark? I don't know, so I look it up. The robin, the starling, the mockingbird. from house to house with distractions. come here. That's a cardinal, I think. 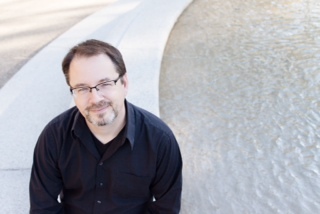 Jeff Oaks' newest chapbook, Mistakes with Strangers, will be published by Seven Kitchens Press in 2014. A recipient of three Pennsylvania Council of the Arts fellowships, Jeff has published poems in a number of literary magazines, most recently in Fourth River, Prairie Schooner, Rhino, Field, and Mead. His essays have appeared in At Length, My Diva: 65 Gay Men on the Women Who Inspire Them, and in Creative Nonfiction. He teaches writing at the University of Pittsburgh.